I am Norvile Dovidonyte, an artist from Lithuania. I work primarily with watercolors and ink. I can’t imagine my day without a cup of coffee and strange, beautiful things, which inspire me to create playful characters. I’m inspired by all kinds of things: people, nature, daily life, fairy tales, childhood memories and children’s books! Watercolors are my medium of choice and I enjoy working with it. The colors always blend in fresh and surprising ways, which I love. Ever wish that you could take your Science Nerdyness to the next level? Well these people have by taking their favorite science interest and tattooing it on them. Tattoo a practice dated 5,200-years-ago, was originally applied by a sharp stick and ink, now has become $2.3 billion annual business in the U.S. To give a perspective of how common tattoos are, National Geographic stated, 15% of Americans were tattooed translating to approximately 40 million people, published in April 2000. Carl Zimmerl, a well established published science writer and blogger asked his geeky internet audience to share their science tattoos, to publish Science Ink. Below are some of his collection. Ever wish that you could take your Science Nerdyness to the next level? 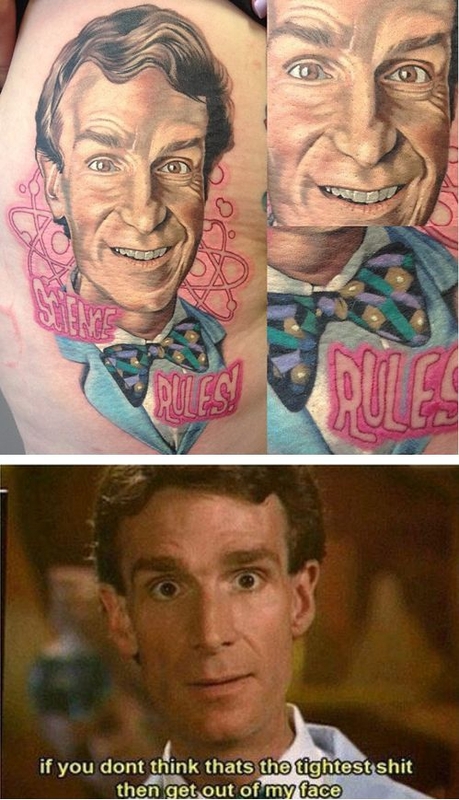 Well these people have by taking their favorite science interest and tattooing it on them. 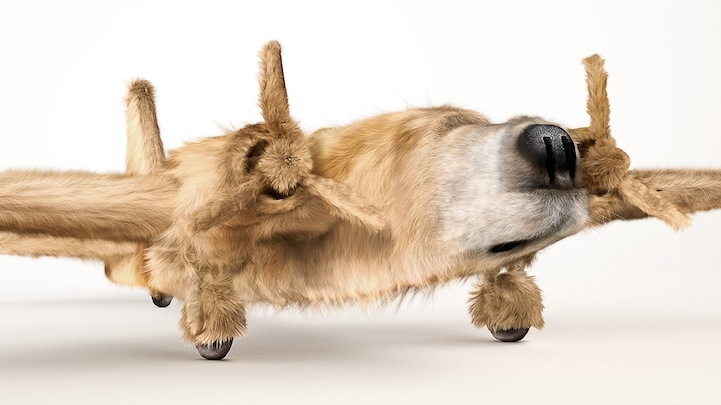 Inspired by their love for both dogs and airplanes, digital production studio Ink created this playful series, entitled Dogfighters, that blends WWII planes with a selection of friendly, furry animals. The studio explains that the planes were "carefully paired with their canine counterparts in order to transform their familiar hard-edged, silhouettes into a more adorable craft; a beagle, a schnauzer and a golden retriever."